What is the best portable 3D scanner on the market? There are many 3D scanners available on the market, from desktop 3D scanners to advanced metrology systems. Handheld 3D scanners are gaining popularity in this fast-growing market, because they offer flexibility and allow the 3D capture of complex scenes or objects. A wide variety of portable 3D scanners is available on the market today, from budget, entry-level handheld devices to advanced, industrial-grade portable 3D scanners. Our goal is to cut through the clutter and showcase the best portable 3D scanners currently on the market. This table represents a non-exhaustive overview of the portable 3D scanners available on the market in 2019, ranked by alphabetical order. The 3D scanners that we chose answer certain criteria, including positive feedback from the community and, when possible, a metascore. See more information in the next section. *Price: we provide a price range when the MSRP (manufacturer suggested retail price) is unavailable. Also, the final price may change depending on the country, configuration and other factors. 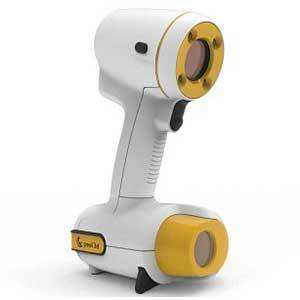 All of the portable 3D scanners in this list are widely available throughout the world. However, their availability may depend on the brand and the product. Furthermore, prices can vary a lot from one country to another due to import taxes. Contact us for accurate quotes. We base our handheld 3D scanner selection on feedback from the community (users, partners and resellers). Additionally, we conduct our own internal tests and reviews on a variety of 3D scanners. 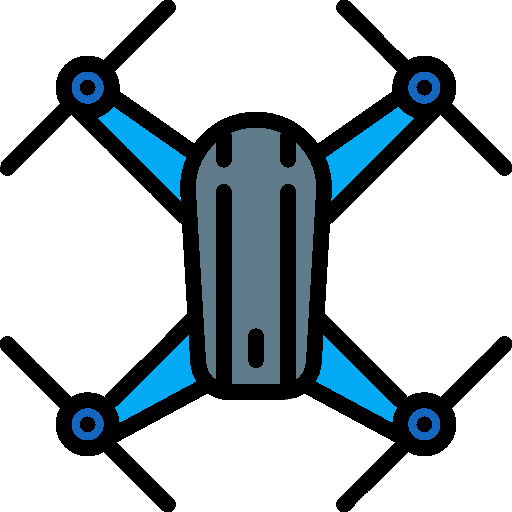 The price ranges and case applications are so wide that it’s difficult to exclusively use our metascore for this type of product. Plus, some great products are relatively new on the market and haven’t yet had the chance to be reviewed. This explains why some of the portable 3D scanners included in this list don’t have a metascore. This 3D scanner is light (0,85 kg), fast and versatile. The Artec Eva uses the structured light technology to capture a wide variety of subjects and their textures (colors): objects, mechanical parts, people, vehicles and environments. The Artec Eva 3D scanner offers a very interesting price to performance ratio and is suitable for different applications. These include reverse engineering, body scan or museum conservation. This 3D scanner uses a blue LED structured light technology that is compatible with a wide variety of objects. Users can 3D scan small, detailed objects such as mechanical parts, jewelry and even body parts. The Space Spider offers high levels of precision and is also suitable for reverse engineering. 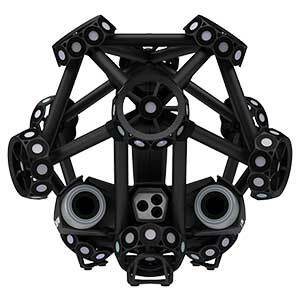 See our hands-on experience with the Artec Space Spider. The professional Go!SCAN 50 uses structured white light 3D scanning technology. It is able to capture in 3D many different objects, including their textures (colors). This 3D scanner is easy to use and weighs just under one kilogram for easy manipulation. Objects require no preparation, users can simply “point and shoot” to 3D scan them. This 3D scanner is very adapted to 3D scan a wide variety of mechanical parts, mockups and prototypes. This metrology-grade 3D scanners suits various uses cases such as reverse engineering, all steps of design and manufacturing processes, cultural heritage preservation, restoration, digital archiving and entertainment. 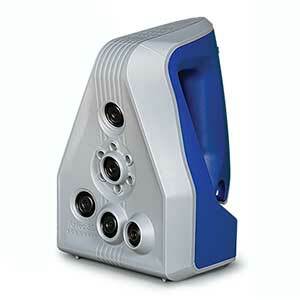 This portable 3D scanner is one of the most effective products on the market for producing high quality 3D meshes. The MetraSCAN 750 by Creaform is a professional optical coordinate measuring machine (CMM). It is able to 3D scan objects ranging from 0.2 to 6 meters in size. The Creaform MetraSCAN 750 conveniently features multifunctional buttons in order to easily interact with the software. This 3D scanner is able to 3D scan difficult materials, including shiny surfaces whether they are black or multi-color. See our hands-on test of the MetraSCAN 750. 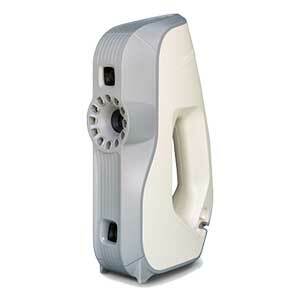 Peel 3d is a subsidiary of Creaform, a manufacturer that usually focuses on high-end, industrial 3D scanners. The peel 3d Scanner is an entry-level yet professional handheld 3D scanner. Users can benefit from wireless 3D scanning and peel3d’s user-friendly software. This 3D scanner features automatic shape recognition and is suitable for a large number of applications. These include education, body scanning, reverse engineering and more. 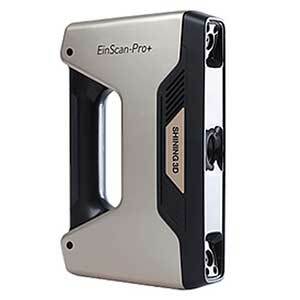 The Shining 3D EinScan-Pro+ uses a white structured light 3D scanning technology, based on LED lighting. This handheld 3D scanner offers the same advantages as its predecessor: it is light and portable with a weight of only 0.8 kg. 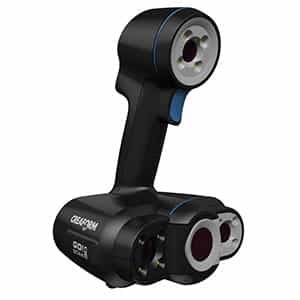 Several different configurations are available in order to offer the best 3D scanning speed to resolution ratio. 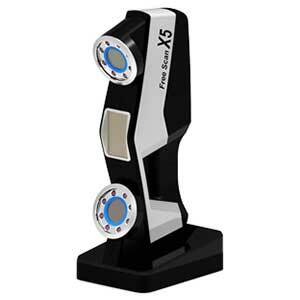 The FreeScan X5 offers an almost unlimited 3D scanning size. This 3D scanner’s light and narrow body allows users to 3D scan even in the most narrow spaces. The Shining 3D FreeScan X5 provides great accuracy and high speed 3D scanning. It’s 10 laser line array is Class II eye-safe. This 3D scanner from Russia is able to 3D scan a wide variety of objects, from oil pipes to jewelry, and their textures (colors). 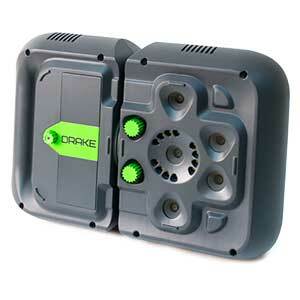 The Drake is actually a 3-in-1 3D scanner, as it possible to change between 3 different lenses or “heads”: the Mini head for small objects, the Midi head for medium objects, and the Maxi head for big objects. 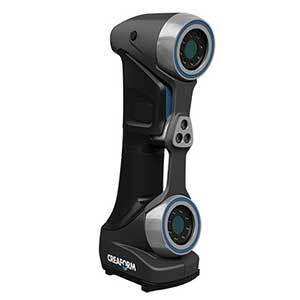 Before choosing a portable 3D scanner, it’s important to take certain points into account. A great way to determine the purpose for a 3D scanner is thinking about what needs to be achieved, and then work backwards. Typically, 3D scanning is the first part of a project for collecting 3D measurements from an object. A 3D scanner’s accuracy is its ability to obtain exact measurements. In certain industries, like quality car parts inspection, high accuracy is of utmost importance. Just like with photos or screens, the level of 3D scanning resolution counts depending on the amount of detail one needs. The speed factor is especially important when 3D scanning persons, large objects and landscapes. Large objects take a while to scan, and humans tend to move slightly (even when trying to stand still). That’s why speed is crucial for those applications. Small objects such as jewels, mechanical parts, and electrical components require high accuracy and high resolution for details. Generally, large objects require stitching 3D scans together to obtain one, large 3D model. This is true for example with cars, sculptures, buildings, and 3D body scanning. Some 3D scanner manufacturers insist more on user-friendly experiences that others. Choosing a more complex 3D scanner implies hours of training, and beginners may find it more interesting to get an easy-to-use 3D scanner. Last but not least, and as it is the case for so many other products, the budget is definitely something to take into account. There are entry-level 3D scanners for under $500 if users are willing to sacrifice accuracy and performance. Industrial 3D scanners are the most expensive, with prices around $100K. Find the perfect balance between all these factors with our 3D scanner comparison engine and its filters. We reference hundreds of different 3D scanners, and our database keeps growing daily. Overall, what’s the best 3D scanner on the market? Find out with out ranking of the best 3D scanners. Looking for a 3D printer? Here are 15 budget 3D printers under $1,000. Discover 3D scanning with these free 3D scanner smartphone apps.